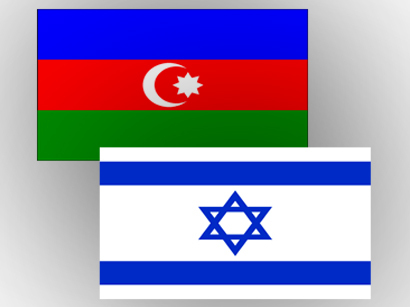 Relations between Azerbaijan and Israel are very good, and Avigdor Lieberman's taking the post of the country's defense minister will only strengthen them, Lev Spivak, director general of the International Association "Israel-Azerbaijan", said in an interview with Trend. "The main topic of Israel's domestic policy is, of course, Avigdor Lieberman's appointment to the post of defense minister," Spivak said. Avigdor Lieberman accepted the offer of the Israeli Prime Minister Benjamin Netanyahu to take the post of defense minister in the new coalition government with the participation of the "Israel our Home" party, Israel's cursorinfo.co.il news agency reported earlier. Spivak went on to add that Lieberman, firstly, is well educated person from a historical point of view, which is very important for a politician. Secondly, he is rational. "Lieberman was at the forefront of good relations between Israel and Azerbaijan," Spivak noted. He added that the countries cooperate in the field of energy, as well as military and technical issues. Azerbaijan and Israel have healthy economic relations, Spivak said, adding that the people of the two countries have a lot in common psychologically as well. The fact that Lieberman gave his first and only interview to Trend news agency before officially taking up his duties shows his attitude not only to Trend as a serious agency, but also to Azerbaijan in general, he added. With Lieberman's taking up his duties as the defense minister, Israel will have a political course, Spivak said, adding that several previous ministers of the country really didn't have their own views about the problem of terrorism. "Lieberman has a clear understanding and program about what should be done," he said. "I believe that Lieberman has enough political power and reputation among the people for pursuing his policy."